This has become my place of contribution and connection. My blog began as a creative outlet to explore writing and reach for more joy in my life. After 6 years of blogging, I can say that it’s been a wonderful journey. I’ve realized that chasing happiness and joy doesn’t work for me. Instead, inspiring others and being authentic connects me to a sense of purpose and contribution. What began as a personal journey to joy has become a shared journey to love. I believe that we are meant to express love through relationships. Our journey is learning how to do that. Not always easy, but definitely worth the effort. Choice, acceptance, and gratitude are beautiful tools for opening minds and hearts to love. I love sharing inspirational stories and helping others to thrive. My intention is to inspire you to find your passions, follow your dreams, and spread more love in the world. When we live and make choices from love, we help transform the world. I’m choosing to help create a world of peace and love. Will you join me? Wishing you a lifetime of blessings. Blessings are often right where we are, once we learn to accept and appreciate our lives, including the challenges. May you feed your creative urges and open the doors to your greatness. Speaking of creative urges, you might enjoy my photography on the gallery page or my favorite videos on the inspiration page. I appreciate every nomination and acknowledgment of my blog. I’m particularly grateful for each of you who takes the time to read, comment and share in our community. Together We Rise In Love. Bravo! I thought I left a comment on your blog, but either you’ve set it for approvals, or…it didn’t take for some reason. See ya soon! Thanks Eric. I appreciate the nudges along the way! thanks so much for visiting and commenting! I’m delighted to have you here. Good blog with some beautiful thoughts! Pleasure. Yes your photos are delightful as too. We have some similar interests…inspiration, well being and thriving! So nice to ‘meet’ you! Thanks Denise, when you visit, you really do it with gusto! Thanks. I appreciate you reading & commenting on several posts. Yes, we share some interests, especially moving from surviving to thriving. I grew up in a typical disfunctional family and have gradually learned tools to thrive and grow. I share my journey in the hopes of helping others as I imagine you do too. Nice blog, Brad! I’m loving the photographs as well as the words. Thanks! Thanks Amanda. I appreciate you visiting. It’s fun to be able to blend my passions for photography, nature and writing! Glad you came by. Be well. You’re welcome. Thanks for visiting mine too! Writing as creative expression is just plumb awesome, isn’t it? Yes, I just can’t help it. But you know, Brad, the Punchy Lands is quite real! Funny, your reasons are quite literally the same as why I started my blog. Nice to find like souls out there. Hi there! I just wanted to let you know I just nominated you for the Sunshine Award in my blog… I wanted to pay forward the sunshine love to you! 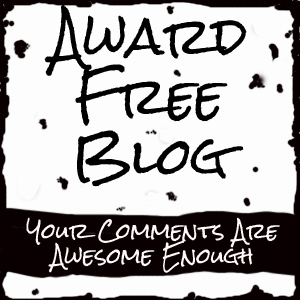 If you want to share the sunshine too, you may find out more about it here… http://livewhatyouknow.org/2013/12/03/the-sunshine-blogger-award-my-first-award-thank-you-fun-facts-and-paying-it-forward/ Either way, thanks for being a little ray of sunshine in your posts! I get such a vibe of positivity from just the couple of posts I read here. Looking forward to reading much more! warmth and lightness to you! You’re very welcome Melanie! No, I didn’t know, but I like the fir tree. peace out! Thank you for taking the time to read my poem, “The Sigh of the Eternal Glade” today and showing your support with a friendly like. 🙂 I have the soul of an old writer, but I am a newborn in the blogging world, just starting this month. I started too for very similar reasons and for gaining a forgotten voice. I have found in a very short time how much this process has redirected and will change my journey; connecting with people like you along the way is such a blessing. My best to you. Thank you for stopping by my blog, taking the time to comment, and following me! Right back atcha! Can’t wait to read more of your work! Thanks Gabe and welcome to my humble home. I appreciate you visiting! Hey Brad I wanted to stop by and thank you for taking the time to read and like my post about race on Holistic Wayfarer’s site. You’re welcome, and thanks for your courage and honesty in talking about a difficult subject. And thanks for visiting my blog. I hope you find something to inspire you. So do I. After reading your “About me” I’ve set a high bar. LOL, You can do it! Beautiful place you have here. It was nice to have come across your blog. Lovely introduction and beautifully written. I recently began blogging and reading you’ve done so for two years, is inspirational. You’re very welcome and thank you. I like how you said the blessings are often right where we are. I found that too! Please know that participation is purely optional, no hard feelings on my end! I do not expect any action to be taken, or for you to generate a post (unless you wish to pass on the award nominations). Thanks Fatima. I appreciate you nominating me. Blessings and keep on writing! Wishing you the Happiest of Birthdays dear Brad! ❤ May the year ahead and many more to come, bring you abundant love, light and all things beautiful..my warmest wishes 🙂 Enjoy your special day! Hi Brad. You have come to mean a whole lot to me so I want to nominate you for The Angel Award. You are an angel to me. Thanks for visiting my blog. Yours is inspirational and fun. I will look forward to browsing through your own posts too Brad.. Thank you..
Love your photography–it’s the first thing that reeled me in, but your warm-hearted words are truly the backbone of your blog. So many lovely posts to read, Brad. Cheers! Great blog, and I most like your definition of “a place to connect, inspire, and thrive” as there is nothing more important to receive when visiting another blog. Cheers! Hi Randall, Thanks for stopping by my blog. Those intentions help keep me on track. Cheers and goodnight from Arkansas. Hi Brad, I am across your blog via a comment you left on Neha’s (forgottenmeadows). Glad I popped over to take a look 🙂 So many wonderful thoughts, inspiration and writings on peace. Looking forward to revisting regularly. Hey there Brad, found your blog through a friend and decided to give you a follow. If you like, check out my weird world at http://www.thatssojacob.wordpress.com and join the fun 🙂 have a great day! You have a great blog and I will be following. Thank you for taking the time to read, comment on and follow my blog – I sincerely appreciate the support! Love your mission and what you are sharing with the world. Look forward to seeing more from you! Your spirit shines so radiantly throughout everything you share! Thanks for the visit and I will also visit you! God bless! Dear Brad, Thank you for this space filled with healing and love! Very new to the blogsphere myself but can already feel how powerfully it can connect hearts around the world. So glad to have been led to your world! Very-very interesting blog! I enjoy it! 🙂 The best regards! I’m surveying sites of souls that serve my soul. It came to me to do that as part of creating the context of how I might share with others. I’ve been to your blog before, and today, when I opened it up and looked around just a little, I had this wonderful feeling of ease. I find your site beautiful and streamlined. I’ll not start “eating” at this marvelous smorgasbord just now, as I’m on task. I am eager to visit more and stay longer. Thanks for creating this! You’re welcome. Yes, I enjoyed your blog too, especially how well organized the topics are and filled with great practical tips. You might check other issue too. So nice to meet you, Brad! To newly meet writers, poets, and general bloggers, here, on WordPress adds much joy to the day! The thoughts on your “About” page are very worthy and inspiring! So glad to have discovered your site and learn of your journeys. Thank you Tom and Audrey. It sounds like you’re having many of your own adventures. Happy Trails! We are so excited about this new chapter in life. Had to have the preceding ones though to allow us this one. Hopefully, we’ll catch up on some roadway and share stories. Good reminder; each step flows from the previous one. I look forward to hearing more about your adventures. So could you let her know please as I dont think she gets the replies to her comments.. I am really having probs again being spammed etc.. But I saw your comment there..
Sure Sue. I’ll let her know that you’re trying to reach her. I’ve found I can leave a comment directly on her website, but not in the WP reader. Maybe that will work for you. Hi Brad.. I cannot leave direct on her site.. Strange… I am not sure she found me, or I was in spam.. I know I am not the only one with these probs at the moment.. but its frustrating as its happening on more blogs i visit. I love the mission of your blog. My favorite quote is “Choice, acceptance, and gratitude are beautiful tools for opening minds and hearts to love.” I agree 100%. It’s important to be authentic and genuine. You embrace all of that. Glad to have come across your blog! I strive to inspire, motivate, and just connect with great people (like you!). Nice meeting you. Yes! May we rise together! Blessings to you too, Brad! Thank you Ash and welcome to our community. Greetings, sir! I was led this way by Brooke (A Gypsy’s Tale), and I’m grateful for the guidance. Already, I can tell I’m gonna enjoy your work! Who can’t get behind that!? Consider me among the flock, my friend, and I’ll do my Tom’dest to spread the word. Harmony is my middle name. Glad to have found you. Let’s get to raisin’ some joy, Brad! Thanks Colleen. I rescheduled it for another day. I think next Tuesday. Your intention is inspiring. It look forward to reading more of what you have to share here. Excellent reasons to begin a blog. Keep up the good work! Have a wonderful New Years. Looking forward to connecting! You’re most welcome Debbie. Thanks for taking the time to explore and connect. Happy New Year! Happy New Year to you too! 🙂 Blessings.